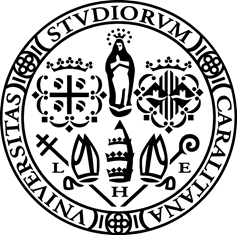 UNICA is the only technical University in Sardinia. The Department of Electrical and Electronic Engineering (DIEE) groups all the researchers involved in the ICT fields. Their researches range from telecommunication to power electronics through computer science, microsystems and biomedical engineering. DIEE has been involved in many different regional, national and EU funded projects, also in the role of coordinator. It provides teaching activity to more than 1000 undergraduate students and 50 PhD students every year. DIEE is responsible of several international exchange agreements at Europe/US level. The research group involved in this project is active in the field of embedded system design, sensors and microcontrollers, with several applications in the field of biomedical engineering. In collaboration with TechOnYou S.r.l, DIEE has recently developed a DVB-T telemedicine system. In HEREiAM UNICA will be in charge of managing the project and conceive and write the interactive software and graphic user interface for the DVB set-top-box.